Choosing the right mascara can be quite an experience. It takes trial and error, and many of us rarely only use one mascara at a time. I, personally, have a bit of a commitment issue when it comes to mascara. They have such a short shelf life and I have gotten to try so many great brands, that I rarely pick up the same one twice. When it comes to high end mascaras, I tend to look for them at a discount or included in kits because they can get quite expensive. 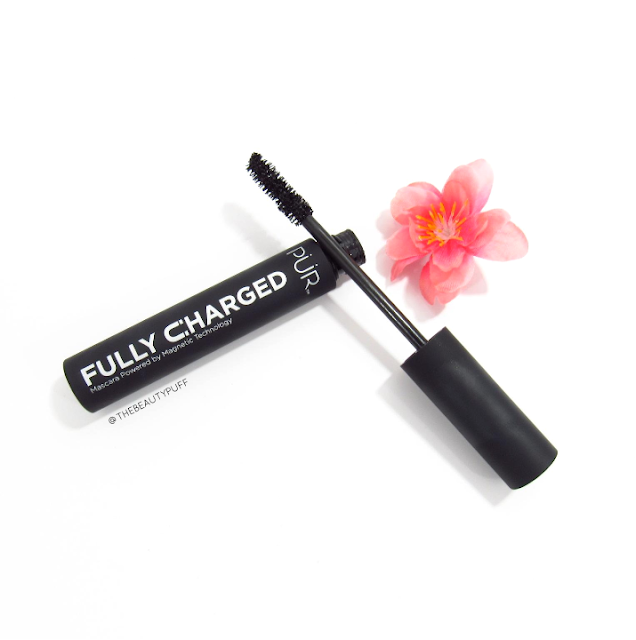 Luckily, Pur has a fantastic deal on their new Fully Charged Mascara now through April 15th! The Claim | Maximizes lift, volume and curl while strengthening lashes. The Results | Overall I'm impressed with how this mascara performed on my lashes. It provided volume, held a curl and looked dramatic enough that I, personally, would not see the need for false lashes. (I don't usually wear falsies anyway, in all honesty.) What I would suggest is being particularly careful with this formula as it tends to gather on the brush. I love the bristle style of the applicator but if you do not wipe off the excess every so often, you will see clumping on your lashes. A few simple swipes on the tube should alleviate this and you'll get a clean application. The formula held up very well, even on a rainy day and I was thrilled not to see any smudging when I looked in the mirror! The sale | Now through April 15th, use code HELLOLASH20 for 20% off Fully Charged Mascara!